When it comes to mattress shopping the two most important and most often confused concepts are comfort and support. Comfort really refers to regulation of surface pressure. Whereas Support actually refers to proper spinal alignment. When you first lie down on a mattress, you may initially feel quite comfortable; but you should try to spend at least 10 to 15 minutes on each mattress when shopping around. It will often take a little time for the uneven surface pressure to become apparent. When your leg is tingling or your arm is falling asleep, it's because the mattress comfort layers are not disbursing the surface pressure effectively. "The initial sigh of relief..."
When we talk about mattress comfort, we're typically discussing the surface pressure relief provided by the top layer of components. Manufacturers give their mattresses a comfort rating from extra firm to ultra plush. This rating is based primarily upon the density, softness, and types of foams used. 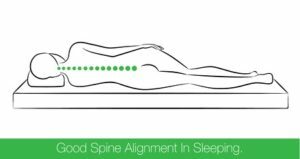 When we say support, we're talking about proper spinal alignment as provided by the core of the mattress. There are several different types of mattress core, including: innerspring, independent coils, high density foam, latex, etc. Proper support from a mattress will help alleviate shoulder pain or hip pain, letting you wake up feeling refreshed. Temperature Control is a hot topic for a lot of sleepers. Often the top comfort layers of your mattress can insulate or retain body heat as you sleep. The mattress industry has been making significant effort to develop and add cooling technology to the comfort layers of your mattress so you can sleep cooler at night. "Your partner couldn't sleep, so neither can you..."
If you can remember the old bowling ball and wine glass commercial, where dropping a bowling ball on the mattress never disturbs the wineglass... that commercial was all about the concept of motion transfer. Motion Transfer can happen when your partner rolls over or changes position in bed. His or her motion travels across the mattress core like a wave and wakes you up too. 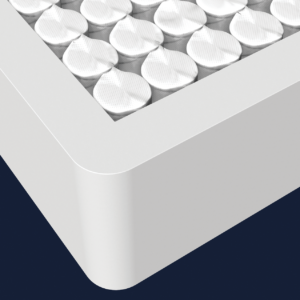 Interconnected innerspring mattresses are the worst when it comes to motion transfer, especially if you're a light sleeper. Regardless of the type of mattress core, one sign of quality in mattress construction is the presence of an outer foam encasement. 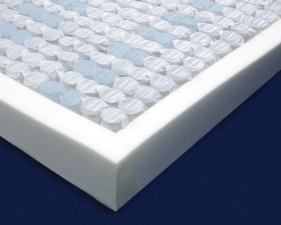 This high density foam encasement helps prevent mattress sag, provides rigid edge support, and helps to reinforce the position of its spring core. Spring core mattresses without the foam encasement are easy to identify; as you can simply run your hand along the edge of the mattress to feel the outermost springs pressing against the side of the mattress fabric. If you typically spend a good deal of time sitting along the outer edge of your mattress, like you would with a day bed for instance,the mattress foam encasement would be highly recommended for product longevity. This is the traditional old school type of mattress where the springs are all connected. This type of spring core is called interconnected coils or the whole core unit may be called an innerspring. When we lie on an innerspring mattress the whole body of the mattress is affected. An innerspring mattress disburses the weight of a person's body by evenly pulling support from neighboring coils. 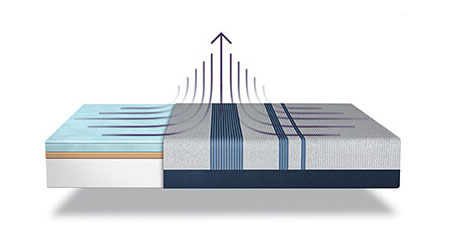 Motion transfer waves are most noticeable when sleeping on a mattress with this type of core support. 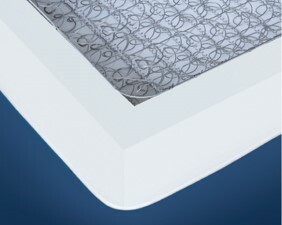 Mattresses using independently wrapped pocketed coils or independent coils as a support core are less likely to be affected by issues with motion transfer. Though this type of mattress core may not be completely immune to your partner's tossing and turning, you will find motion transfer issues in this case to be significantly reduced when compared to your traditional innerspring mattresses. Side sleepers seem to prefer independent coil mattresses above innerspring mattresses; as the independent coils are designed to provide localized conformity to a persons contours. More and more mattress models are starting to be constructed without springs. Instead of using springs, these mattresses are being constructed with a high density foam core. 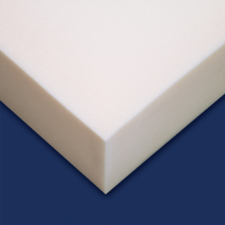 Memory foam mattresses will often utilize a high density foam core or latex core. Mattresses using this type of core support will have minimal motion transfer issues if any at all. However, please understand that a "no springs" or a memory foam mattress is considered a "love it or hate it" product. If there is any doubt or uncertainty as whether you are ready for a memory foam mattress, we recommend you try a hybrid mattress before settling into an all foam product. The comfort layers of a mattress reside atop the mattress support core. The construction of these comfort layers is what determines the comfort rating of a mattress: firm, plush, ultraplush, pillowtop, etc. Comfort layers are not meant to provide support as you sleep; however, comfort layers should provide relief from surface pressure. 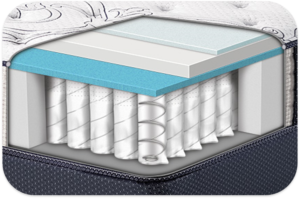 A higher end mattress today typically contains some form of cooling gel within its comfort layers. This may mean a solid sheet of soft pliable gel material or it may be in the form of cooling beads. Gel cooling beads are often infused into many types of memory foam. However, not all memory foams contain cooling beads, and not all comfort foams are memory foam. Visco-elastic memory foam was actually developed by NASA in 1966 to cushion the effects of g-force for astronauts during takeoff and reentry. Lower density poly foam is still readily used in mattress comfort layers, and can usually be found couple will a layer of memory foam. 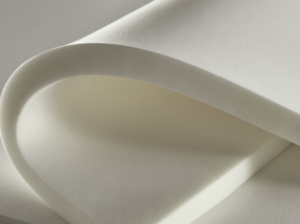 You can almost always find a layer of high density poly foam directly on top of the support core of a mattress. 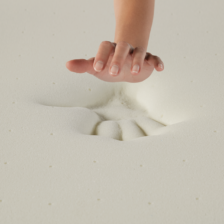 The high density foam is fairly rigid and separates the springs from the mattress comfort layers. 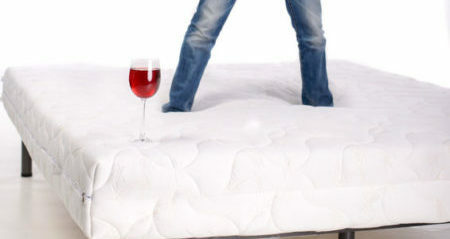 Lower density poly foams are softer and tend to be used closer to the mattress surface. This type of foam is usually sandwiched in between or coupled with memory foam layers.